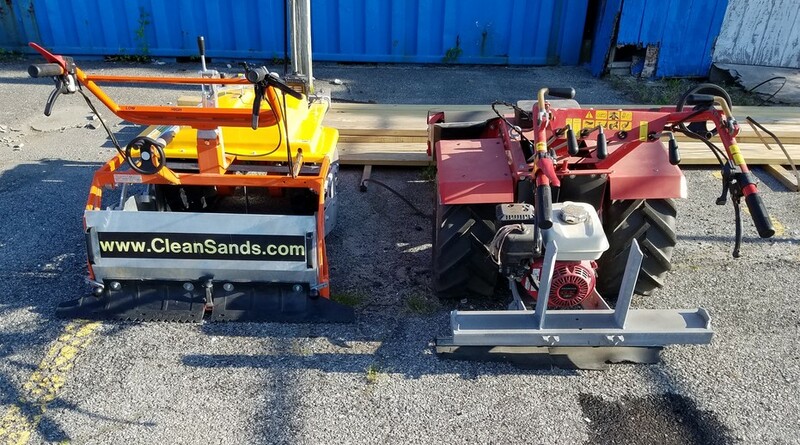 Our heavy duty beach cleaners are environmentally friendly equipment from CleanSands, Inc. 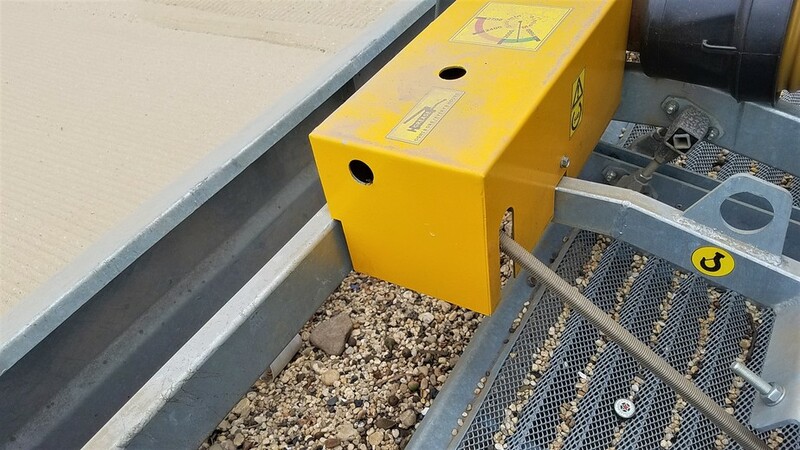 They lift and intensively vibrates/sift the sand through screens to remove unwanted beach debris. 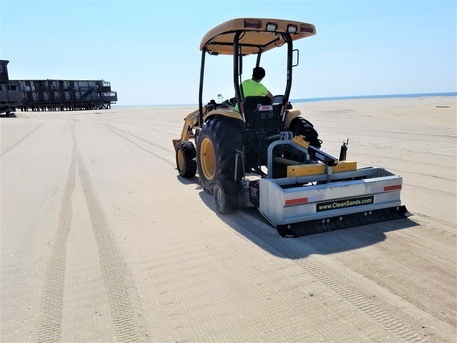 Then returns the Oxygenated sand back to the beach, leveling and grooming it in place. 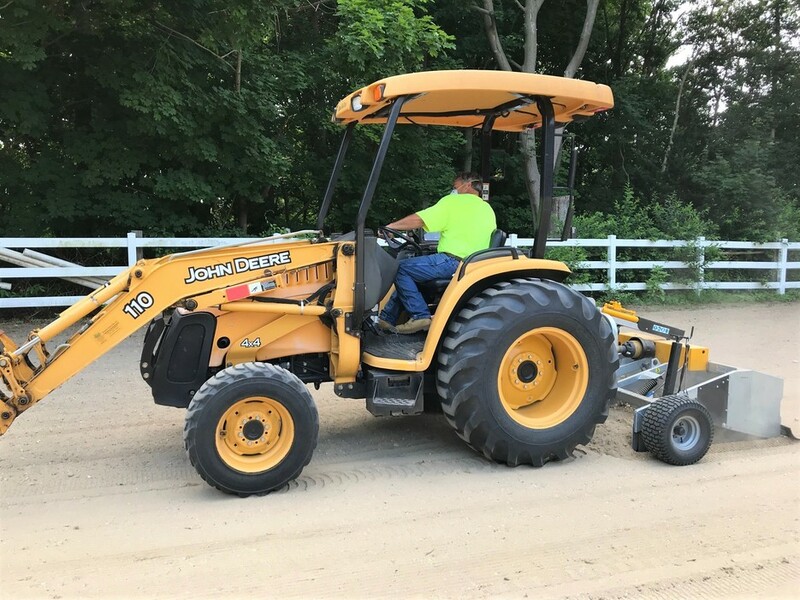 This creates an impressive finish with little or no tire tracks for your sand area. 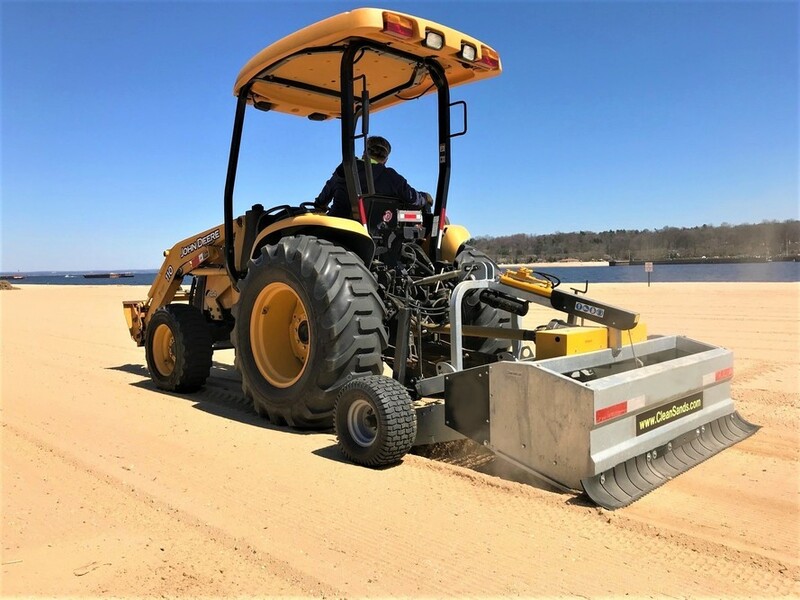 These beach cleaning machines are some of the most efficient beach cleaning equipment on the market. 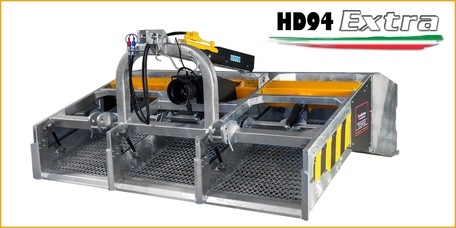 To find out more about our unique beach cleaning equipment, directly contact CleanSands, Inc. 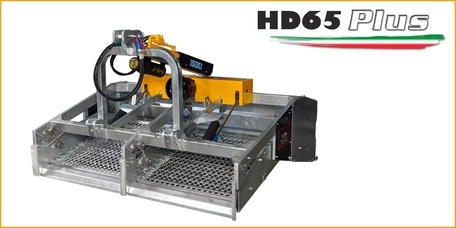 They will be happy to help you select the right model for your beach cleaning requirements. Not sift clean the sand - then drive on it leaving tire tracks and compaction. You can see the difference below to better understand our machine from others. 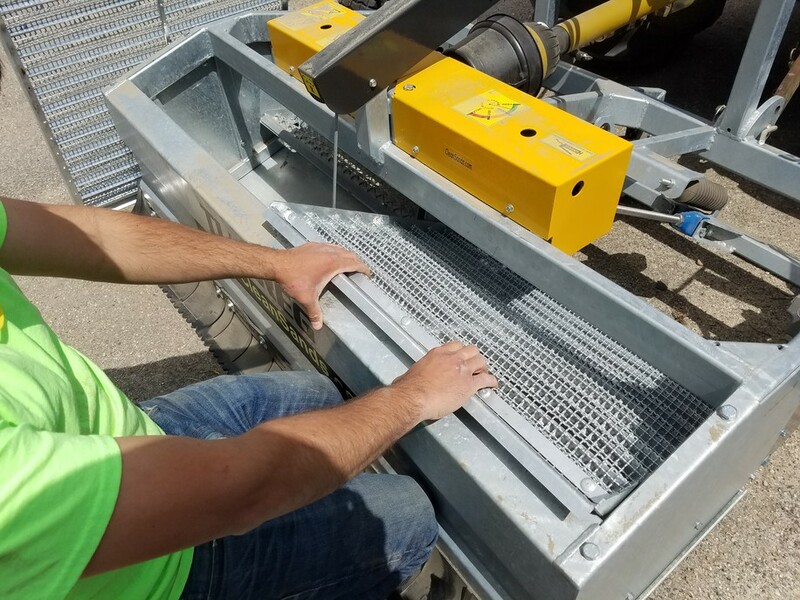 All major equipment manufactures have developed rubber Track Drive Systems in the past few years because of stability on soft ground and less compaction. 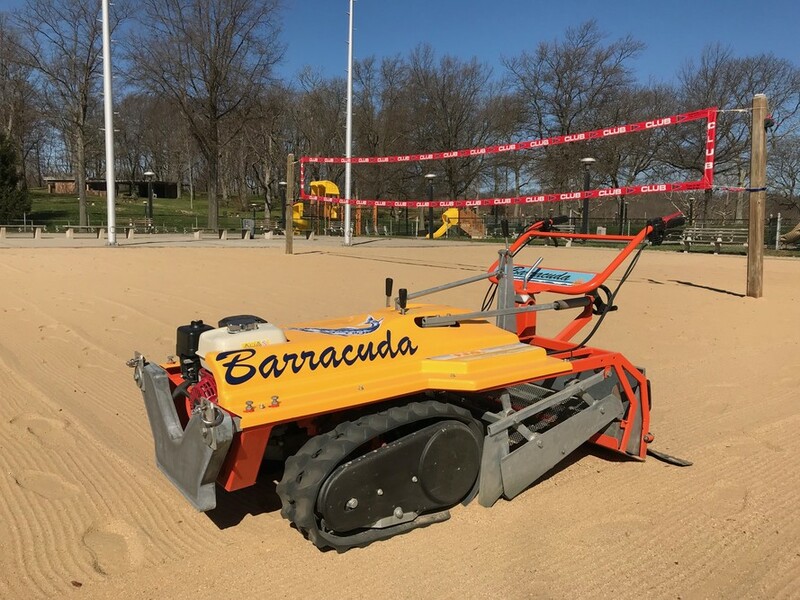 Our advanced Barracuda Beach Cleaner takes advantage of this new track suspension system. This prevents compaction and adds in operators comfort. With less effort in controlling the model and less vibrations compared to older models. 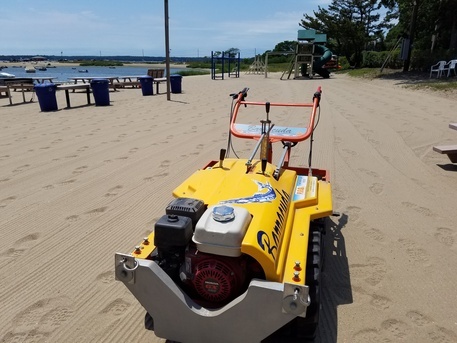 This also helps to make these beach cleaning machines some of the most efficient beach cleaning equipment on the market. 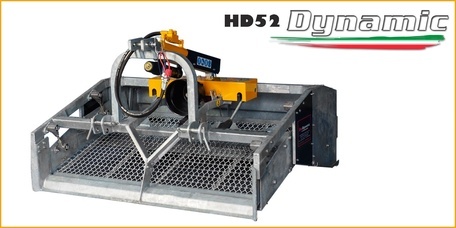 Our tractor attached Heavy Duty models, attach directly to the tractor and are not pulled behind. 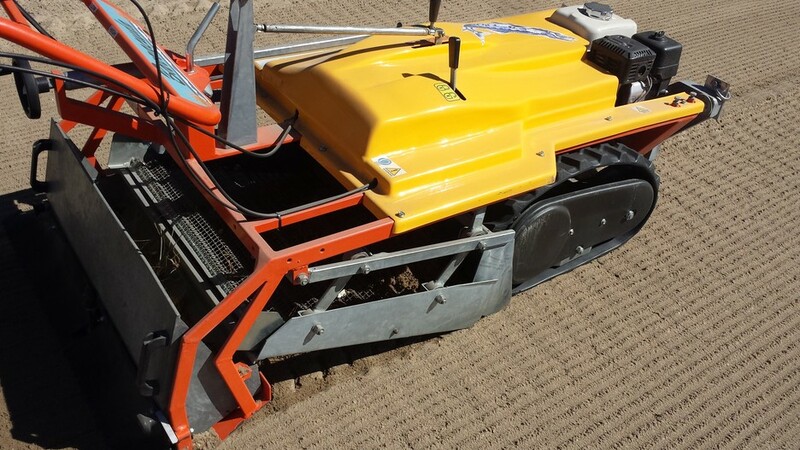 We do not need the extra room for turning or backing into areas like the larger towed tine raking machines. 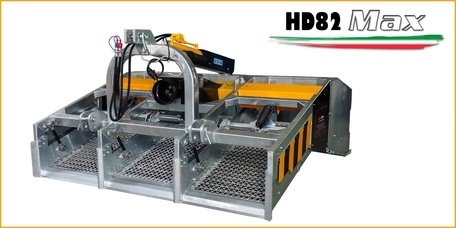 Please contact CleanSands, Inc. directly for equipment information and sales. 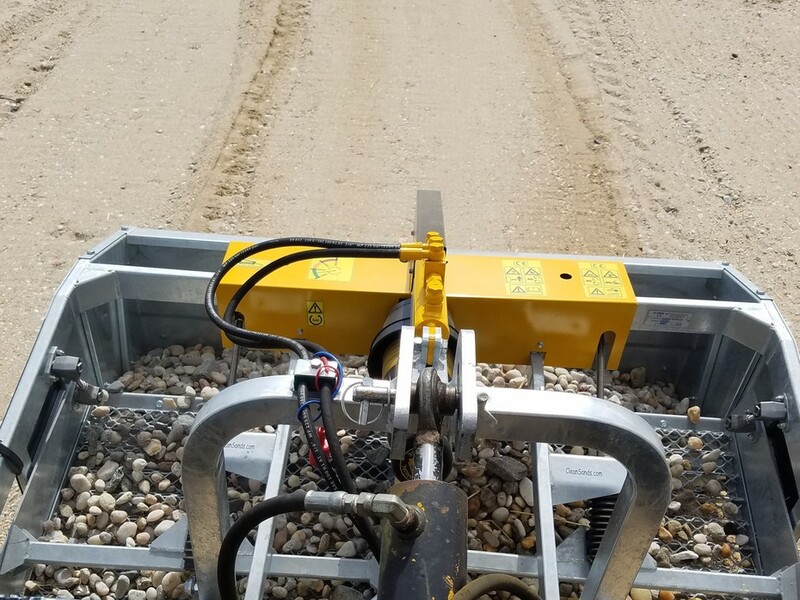 Our new advanced Beach Cleaner takes advantage of this new suspension track system. 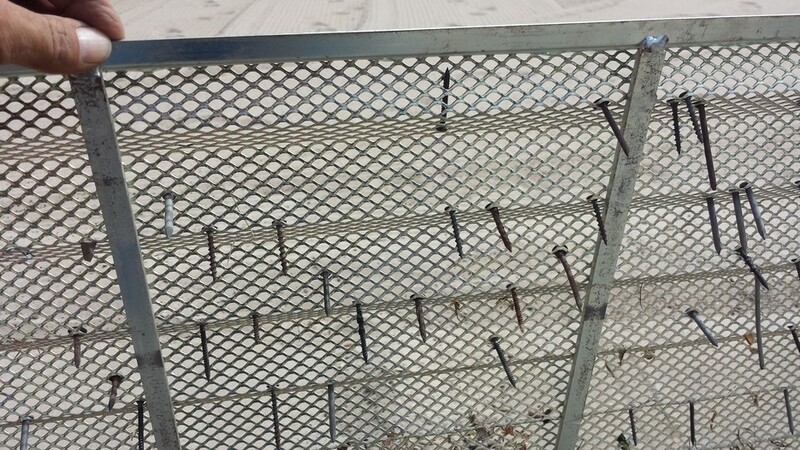 This prevents compaction and adds in operators comfort. With less effort in controlling the model and less vibration compared to older models.